In 1987, Yi Qiao completed six years of training and received her medical degree from Beijing University of Traditional Chinese Medicine, one of the most prestigious TCM schools in the world. She passed her California Acupuncture License Exam in 1988 and started practicing in San Diego. After three years of clinical practice, she began teaching at acupuncture schools in the Los Angeles area. In the last 15 years, she has taught many different courses on TCM theory and Chinese herbal medicine. She has also authored two books – “Traditional Chinese Medicine Study Guide, Herbal Formula” and “Traditional Chinese Medicine Study Guide, Diagnosis”. Ms. Qiao has served as the clinical director at both Emperor’s College of Traditional Oriental Medicine and Samra University; and as the Associate Dean and Academic Dean at Yo San University and Emperor’s College, respectively. In addition to her teaching and clinical practice, she also served as commissioner for the Accreditation Commission for Acupuncture and Oriental Medicine (ACAOM) for eight years.Over the past 10 years, she has been involved in two acupuncture research projects. Currently, she is on staff at Cedars-Sinai Medical where she conducts research in the cardiology department on an NIH-funded project. She also currently serves as the acupuncture clinical supervisor at Good Samaritan Hospital for doctoral program students from Emperor’s College. 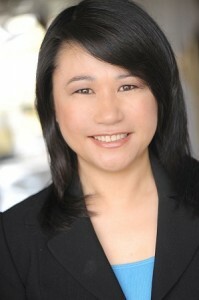 She became the co-director of the Acupuncture and TCM department of the Akasha center in Santa Monica in 2007.